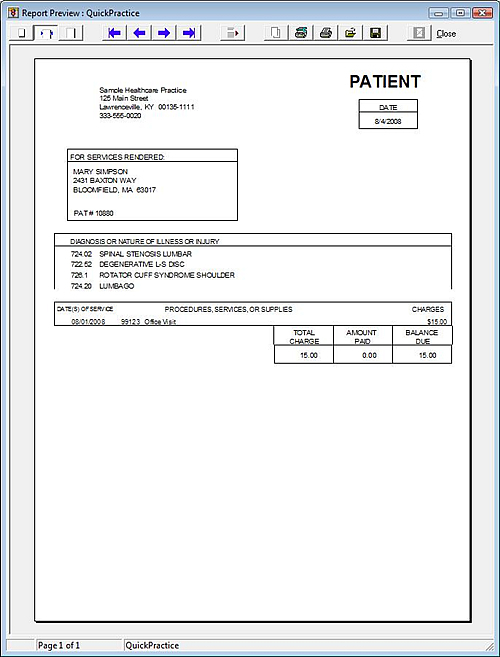 Actually, it’s far from standard! 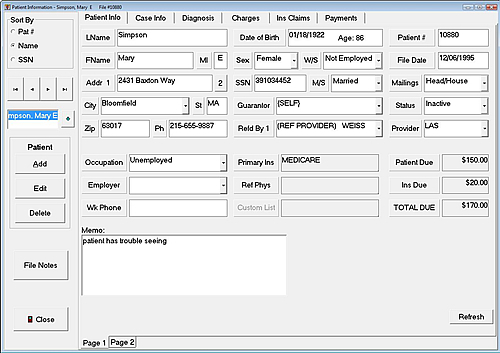 View extensive patient records, with full patient information in a logical fashion at the click of a mouse. 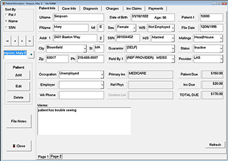 Have patient file notes available for quick viewing and printing from any screen. 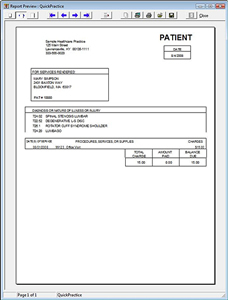 Label files with their guarantors and keep your billing professional and pristine. 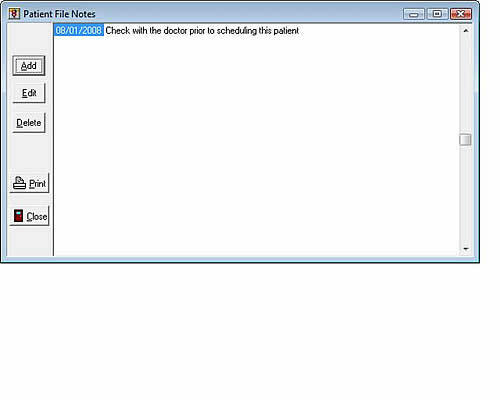 Record on a patient’s file how he/she was referred. With functions like ‘Recall Last Visit,’ QuickPractice boasts the best Visit Entry interface. 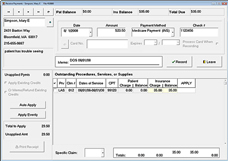 You’ll have complete control to apply payments to specific procedures. 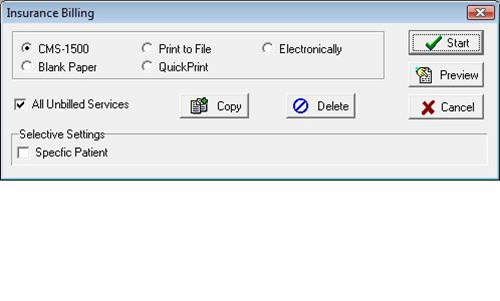 Click the ‘Auto-Apply’ or ‘Apply-Evenly’ buttons to speed you through your day. 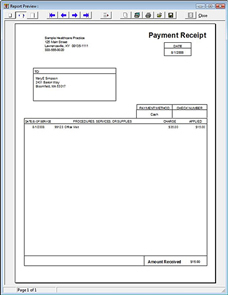 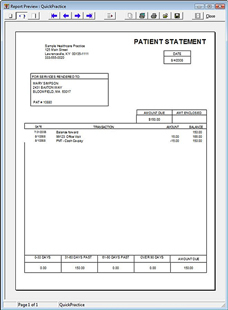 Print receipts on demand for patients. 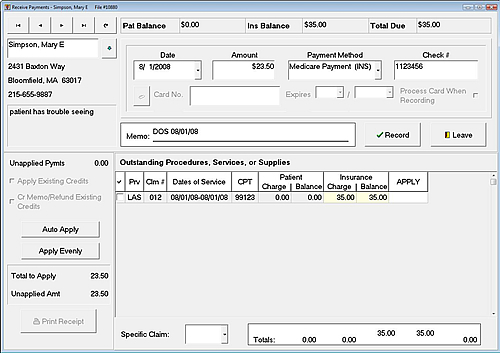 Show Transactions for Pat/Ins/Both, specify any Date Range, show Balance Forward. 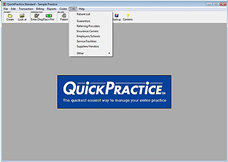 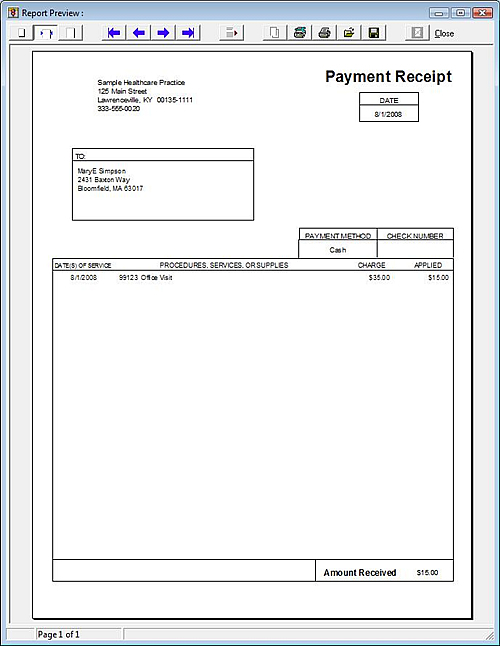 QuickPractice gives you these insurance billing options: a) Insert pre-printed HCFA/CMS – 1500 forms; b) Let QuickPractice print the form for you, or c) Sign up for our optional electronic billing service and let us handle submissions for you. 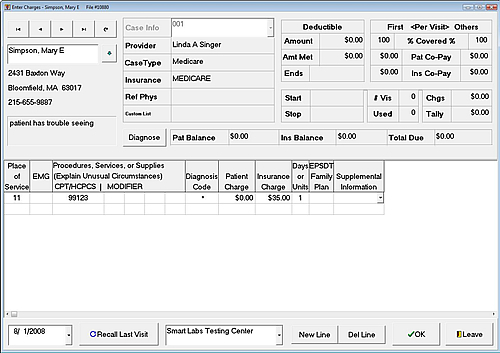 See per-patient totals for charges, billings, payments and write-offs. 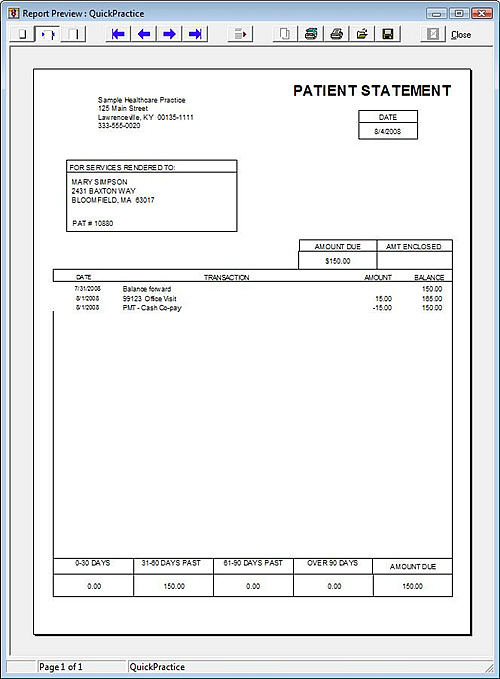 See per-patient Accounts Receivable totals, including 30/60/90/Over 90 columns. 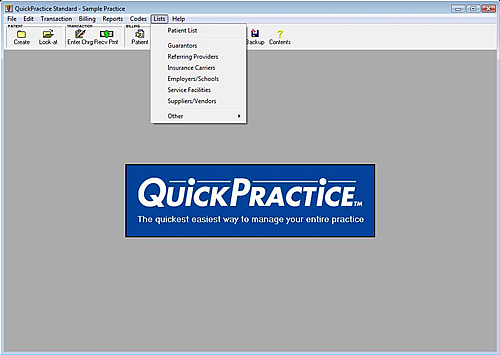 QuickPractice allows you to organize and maintain Diagnosis, Procedure, Dispensing, Place of Service, Type of Service and Modifier Codes, giving you full control over adding or changing them. 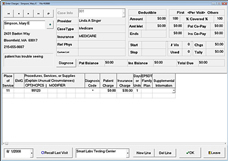 Lists of Referring Providers, Insurance Carriers, Occupations, Claim Types and more, help you with faster data entry and lookups. 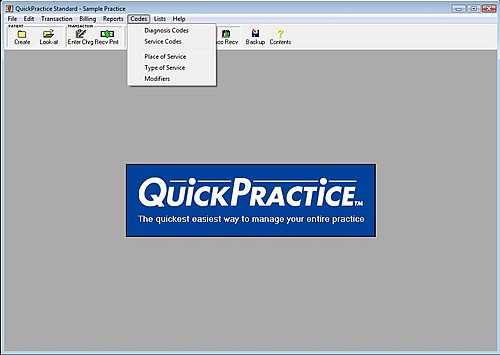 © 1995-2019 PracticePRO Software Systems Inc.